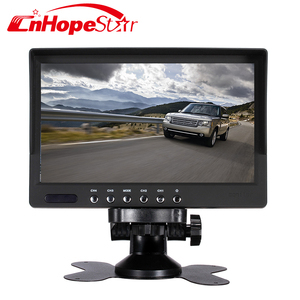 7" Digital Screen TFT LCD Color quad screen Car Monitor with Removable Sun Visor 1*. 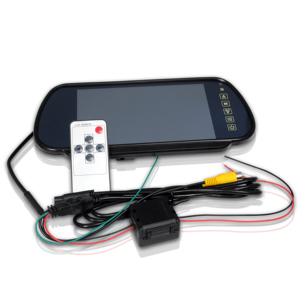 Car Monitor for Shops, Homes Barns, Horse Dairy Poultrys,Farm Tractor Equipments,CCTV Security Surveillance System 2*. 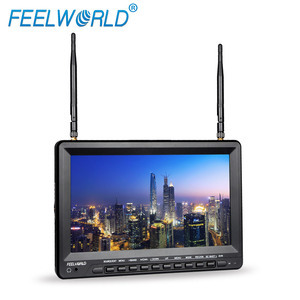 7" Digital Screen Car Monitor able to Show 4 Camera Views at one Time,OSD MENU Separately Set Each Camera Mirror/Normal image,Image Delay and Priority,Free Operating Voltage DC11-32V 3*. 8W Video inputs 1, peak value:1Vp-p, impedance:75Ohm Audio inputs 1, peak value:1Vp-p, impedance:4.7kOhm Storage 128GB SD card Loudspeaker 1W/8 Ohm Detail images: Packaging & Shipping Packaking: Inner Packaing: each piece will be packed in inflatable bag, or according to customer's requirement. Outer Packaing: Strong carton, Shipping Mark as customer's advise. Shipping: Sample order:2-7 days, bulk order depends on Qty Shipping way: FedEx, UPS, DHL, TNT, EMS, By sea or by air, or according to customer's requirement. 6, Protection of your sales area, ideas of design and all your private information. 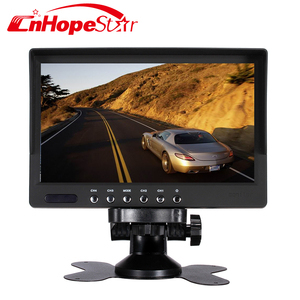 1.Are you a trading company or factory9 Answer : We are factory in Guangzhou,specialize in backup camera monitor system with more than 10 years experience. 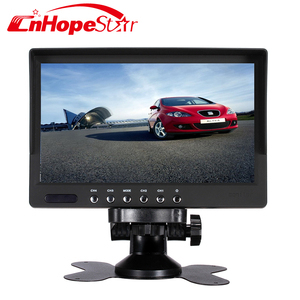 4.How can I place the order9 Answer :Please send us an inquiry,confirm your preferable backup camera monitor,our sales shall send you a proforma invoice. 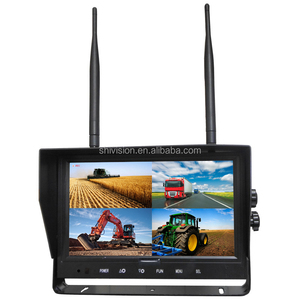 Alibaba.com offers 27 visor mount monitor products. About 11% of these are lcd monitors, 3% are touch screen monitors, and 3% are advertising players. 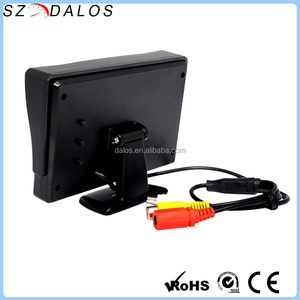 A wide variety of visor mount monitor options are available to you, such as dvi, rs232c. You can also choose from 500:1, ≤ 300:1. As well as from 10ms, 12ms. 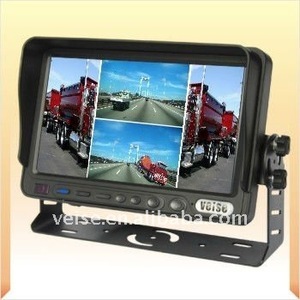 And whether visor mount monitor is 250cd/m, 500cd/m, or 200cd/m. There are 26 visor mount monitor suppliers, mainly located in Asia. The top supplying country is China (Mainland), which supply 100% of visor mount monitor respectively. Visor mount monitor products are most popular in Western Europe, Mid East, and Oceania. You can ensure product safety by selecting from certified suppliers, including 11 with ISO9001, 3 with ISO/TS16949, and 2 with Other certification.